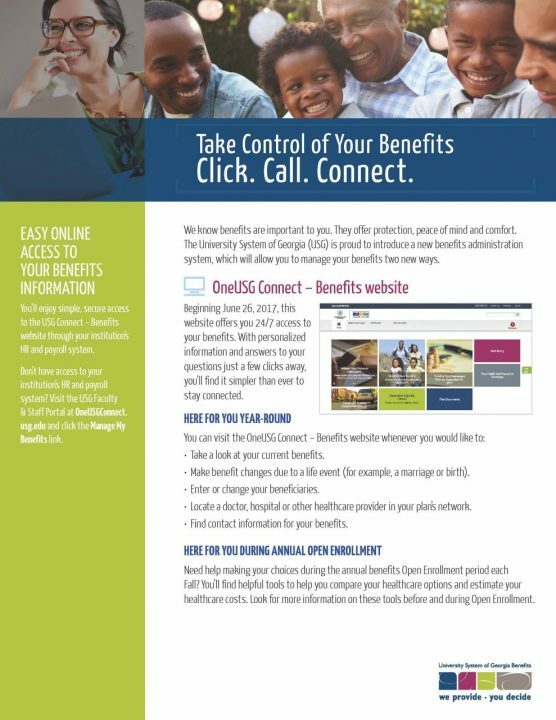 OneUSG Connect – Benefits Website : This secure website gives you 24/7 access to your health and group benefits. 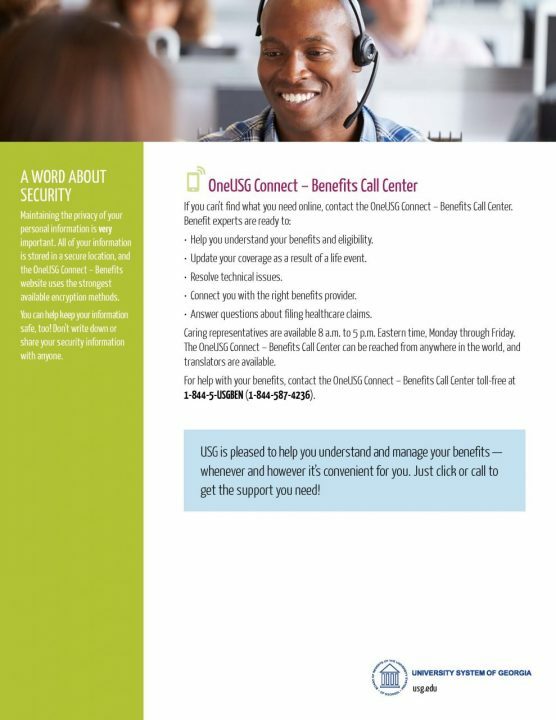 OneUSG Connect – Benefits Call Center: You can get expert help through the convenience of a toll-free telephone number. Even though you have two new ways to access your benefits, your benefits are not changing.